Discover how the air quality changes in your home during the day and with different activities with the help of this great gadget. With recent news that scientists have found the first evidence that particles of air pollution travel through pregnant women’s lungs and lodge in their placentas which can lead to premature birth, low birth weight and possible lung damage, it is more important than ever that you are aware of the air quality where you live or work. On average, we spend 90% of our lives indoors so it is not just in outside pollution such as car fumes, factory soot or bacteria which can be detrimental to your health. Aside from long-term health benefits, breathing clean air keeps people awake and productive, so they can work, study and play. 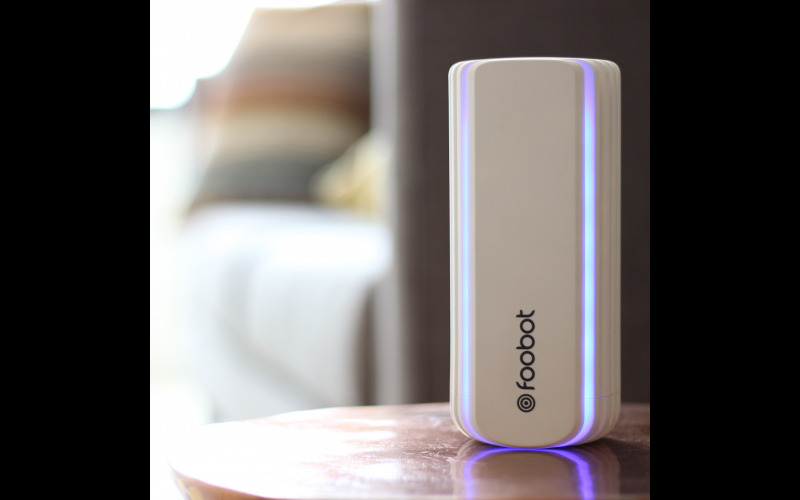 Foobot is the first air quality monitor which gives you a clear and visual understanding of how good the air quality is in your home and the knowledge to take small steps to improve it; benefitting the whole family’s long term health. It can recognise activities such as cooking and cleaning and give specific and personalised tips to prevent these chores having such an impact on the air quality in your home. Foobot also works alongside other smart home devices taking direct action if pollution levels exceed a set amount. Perfect for allergy or asthma sufferers and anyone who wants to create a healthier environment to live in. Available to buy from Amazon for £179.